The first quarter is over so it’s time to benchmark my low charge retirement investing portfolio against a simple Strategic Asset Allocation that anybody could implement in next to no time. It’s a basic stock/bond asset allocation with the stocks portion being represented by the FTSE 100 total return (capital & income) index and the bond portion being represented iBoxx® Sterling Liquid Corporate Long-Dated Bond Index total return (capital & Income) index. Remember, the right hand side bar of this blog contains a section called ‘My Low Charge Portfolio’ under which you can find lots more information about these asset classes and why I have chosen them. In addition to this Strategic Asset Allocation which is in its crudest form the equivalent of a 72% stock/28% bond asset allocation mix I also employ Tactical Asset Allocation which is based around the PE10 (also known as the Cyclically Adjusted PE, CAPE) ratios for the S&P 500 and ASX 200. Again, the side bar contains all details however in its simplest form I am aiming to be under weight equities when the ratio of the [Real Market Price] divided by [Average of the Real 10 Year Earnings] is greater than the long run average (I’ll call this market overvalued) and overweight equities when the PE10 is less than the long run average. 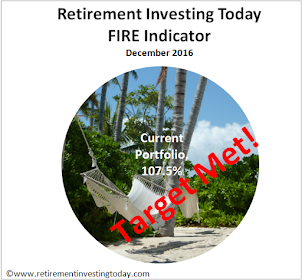 So how has my low charge retirement investing portfolio performed in Q1? Regular readers will see me each month provide an update on my year to date performance which is currently 6.3% from the 31 December 2010 until the end of March 01 April 2010. 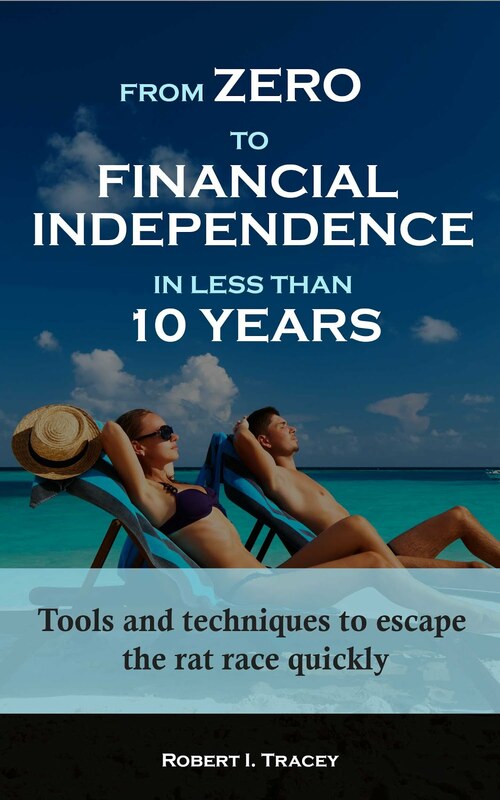 I must however confess that the method I use to calculate this return is simply calculated by [assets at end of period – assets at start of period – new money entering portfolio] divided by [assets at start of period]. This is fine for a quick update however given that I am making very large contributions each month in my endeavour to retire in 7 years it is not such an accurate measure to use when bench marking myself as I will do to today. 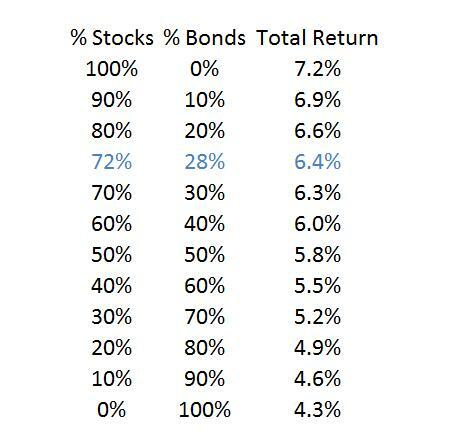 This is because as you can see from the formula in a rising market I would overstate my performance as the new money entering the portfolio earns interest/dividends but does not get included in the assets part of the calculation. Similarly in a falling market I would understate my performance. Therefore to get a more realistic answer I’m going to use what is called the mid-point Dietz method. Under this method Q1 has provided me with a return of 5.94%. This return includes deductions for fees (expected to be around 0.15% for the quarter), 20% tax deducted on cash interest and of course the 10% dividend stealth tax introduced by labour on all UK dividends. I’m really happy with this as my strategy is only currently targeting a real (after inflation) return of 4.1% per annum. With inflation currently at 3.7% a return of 1.95% would have satisfied this target. Now let’s review against the simple Strategic Asset Allocation. Data available from the iShares website for the period 31 December to the 31 March 01 April 2010 details that the FTSE 100 Index total return (capital & Income) was 5.84% 7.2% and the iBoxx® Sterling Liquid Corporate Long-Dated Bond Index total return (capital & Income) was 3.61% 4.3%. My table today then constructs the very basic stock/bond portfolios from highest to lowest risk. The line highlighted in blue is my benchmark with a return for Q1 of 5.22% 6.4%. Even allowing for fees and some taxes I’ve beaten this benchmark and in fact even beaten the 100% FTSE 100 share portfolio. So for the asset allocation and hence risk I am prepared to take my strategy this quarter appears to have not worked well even allowing for a ignoring that the portfolio which sacrifices a little outright performance to maximise after tax returns (for example I buy a lot of National Savings & Investment Index Linked Savings Certificates). How has the first quarter been for you? I hope as successful. The link to the Dietz tutorial was very useful. Now it's the new tax year, I'll be using a home-made double-ended book-keeping database to store all my financial information for the this coming tax year. The ammount of information that one can extract if one knows how is staggering. I'll be keeping a live running Dietz from now on; this is exactly what I have been trying to achieve for a while. Feel free to share anything you learn as you put your database together and start monitoring your progress. FYI everything to do with my retirement investment strategy is driven from nothing more than a few excel spreadsheets. Where do you get your data sets from. One of the features of my database will be that it will use data sets of "exchange rates" for various units of value, in order to track performance and provide a near-real time value. Ideally, I would like to use data sets that contain a date-time, value (in GBP) and unit (eg. GBP or XAU) field that can be downloaded by a script. Is such data available? Before you delve too deeply into the Dietz method, I suggest you look into the Excel function XIRR (assuming you use Excel). Depending on which version of Excel you have, you may need to tell Excel to include the optional financial add in pack (no charge). Thanks for the tip. The XIRR function provides an annualised return so running XIRR on my portfolio and then dividing by 4 to correct for just the first quarter reveals a return of 6.6% on my low charge portfolio. Note to all readers. I have just realised that I cannot just divide XIRR by 4 to get Q1 performamce as I mentioned in my comment above. I actually need to use the formula PRR (Personal Rate of Return) = [(1+XIRR Annualised Return)^(# of days/365)]–1. Hope that makes sense. Anyway this means that for Q1 my return was actually 6% which is very close to the mid-point Dietz method in my original post.